Knitting Like Crazy: It's A Hat Parade! My Summer Hat-A-Long is in full swing. The first few hats have started to arrive (and many of you have told me that more are on the way)! 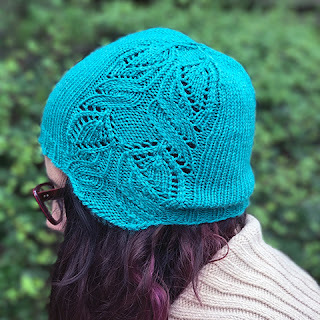 I've gifted the generous knitters who made the hats a copy of my pattern Spero. Anyone who sends me hats to donate before September 15th will receive a copy of my new pattern for free! You can read all about the Summer Hat-A-Long (including where to ship the hats) in this Ravelry thread. The knitters and crocheters - you continue to give me all the feels. Thank you.